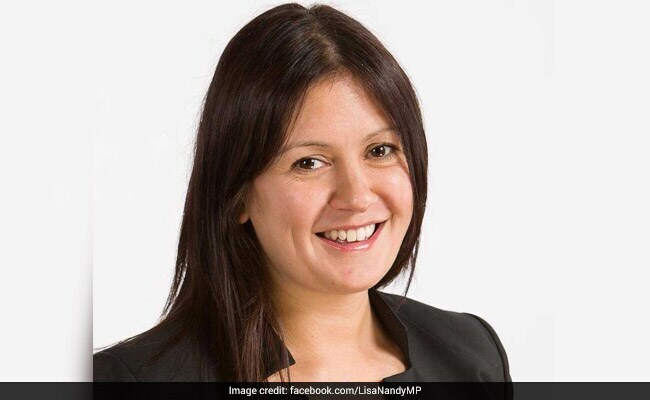 Lisa Nandy's intervention during the weekly Prime Minister's Questions in the House of Commons came amid an intensifying storm around cases of sexual misconduct involving British politicians. Lisa Nandy claimed she had informed Theresa May about the incident three years ago. London: An Indian-origin lawmaker took centre-stage in the UK Parliament on Wednesday when she claimed that British Prime Minister Theresa May had failed to act over sexual abuse cover-up she had informed her about three years ago. Lisa Nandy's intervention during the weekly Prime Minister's Questions (PMQs) in the House of Commons came amid an intensifying storm around cases of sexual misconduct involving British politicians. The Labour party MP for Wigan claimed that she had raised the issue of party whips, in charge of discipline within political ranks, misusing knowledge of sexual abuse cases to their advantage in 2014 - when May was UK home secretary in a David Cameron led government. "Three years ago, I brought evidence to her (Theresa May) in this House that whips had used information about sexual abuse to demand loyalty from MPs. I warned her at the time that unless real action was taken we risked repeating those injustices again today," Nandy said during PMQs. "On three occasions, I asked her to act and on three occasions she did not," she claimed, demanding that the British prime minister take "concrete action" to tackle the issue now. Theresa May, who had opened the day's parliamentary proceedings with a statement on the issue of sexual misconduct involving political leaders, said that she had been holding a series of meetings to set up a "common, transparent, independent" grievance procedure. Responding to Nandy's question, she indicated that she did not recall the three instances being referred to but was determined to take firm action. She said: "I am very clear that the whips office should make clear to people that where there are any sexual abuse allegations that could be of a criminal nature, that people should go to the police. "We want people to feel confident to bring forward cases and we need to ensure that those cases are properly investigated. I want to see a good process within this Parliament." The heated exchange in Parliament followed a series of revelations over the last few days involving senior members of the UK Cabinet and political figures across party lines. May's deputy, First Secretary of State Damian Green, was the latest figure to get caught up in allegations of inappropriate behaviour towards a female Conservative party activist, Kate Maltby, who wrote in 'The Times' that he "fleetingly" touched her knee in a pub in 2015, and in 2016 sent her a "suggestive" text message. Green has denied the allegations as "completely false" and said he has instructed libel lawyers to pursue a legal route in the matter.